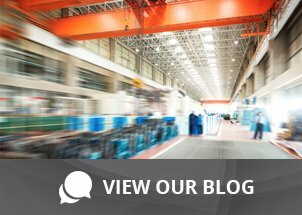 Honeywell PM Series | Taylor Data Systems, Inc.
It’s likely that your business could benefit from increased warehouse productivity, reduced downtime and improved transaction accuracy, right? If you’re like most businesses, you probably have some areas of your business that could use a little tightening up in terms of improved accuracy and transaction time. With many processes being linked, changes can be difficult to make. But with the right tools, the job can be made much easier without having to uproot current processes. 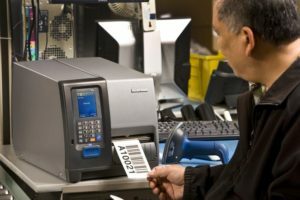 When it comes to barcode label printing, we often recommend the Honeywell PM Series printers because of several advantages and benefits not seen in competing label printers. The Honeywell PM series barcode label printers were designed specifically for the high demands and harsh conditions found in an industrial environment. Dust, dirt, high volume and multiple users can take a toll on ordinary label printers. With the PM Series on its third generation, you can rest assured that many improvements have been made to strengthen the reliability and robustness to operate around the clock. This makes your device much more cost effective over the long term. Should service be needed on your PM Series printer, the Honeywell brand offers peace of mind that you have a strong warranty and superior service to get you back up and running quickly. These devices are not only easy to use, they offer user-friendly integration instructions as well. Built in a variety of sizes (some as small as 7 by 17 inches—so you can choose the footprint that works best in your application), they are also lightweight—ranging from 21 to 38 pounds depending on the model. This gives you the ability to place these printers in tight places or up and out of the way if space is at a premium in your application. With built in touch screens designed for industrial use, the PM series will let your team get up and running with little or no training time. The touch screens are tamperproof and the interface is multi-lingual for even more flexibility. The PM series of printers offers best in class print speeds, operating at up to 10 ips. Yet despite its speed, the printer offers excellent resolution with up to 406 dpi for accuracy. With speeds like this, your team will be highly productive since label printing will never become a bottleneck, and the label output will be clear and accurate for rapid scanning. Depending on the model, the PM series can accurately print labels as small as 2.2 inches or as large as 4.25 inches in width and up to 191 inches long and as thick as 10.4 mils. They work equally well on labels and tags or linerless or linered media, and they print accurately on multiple materials. Rolls or fanfold—these printers can handle either, and they can print RFID labels or resin, wax or even metalized labels that can be permanently attached to assets or equipment. Honeywell also offers an unprecedented printhead replacement program, all you have to do is enroll! This program provides no-cost printhead replacement for all Honeywell industrial and desktop printers. Email us today to request enrollment. For more information about the PM Series or for ideas on ways we can help you improve your existing process, contact us today for a consultation.